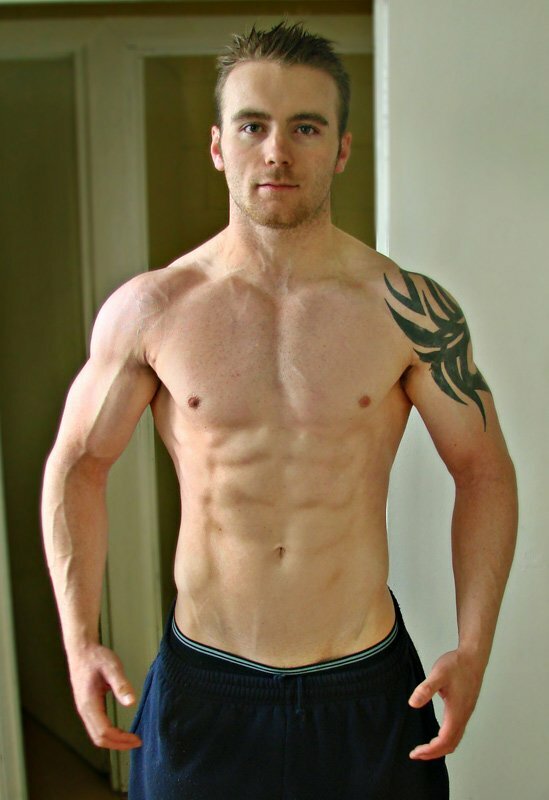 David Cullen Shed Nearly 40 Pounds To Prepare For Competing! David let himself go after his first child was born and decided it was time to get back into shape and prepare for a competition. Read on to see how he did it! I&apos;ve been lifting weights for the past 3 years, but I now want to make transition from casual weight lifter to bodybuilder. I plan on competing in 2011 so I decided to diet down, as practice to see how my body would respond and also to reveal my weaknesses so they can be improved. Also my girlfriend and I had our first baby in December 2009 and as you can see from my before picture, I got fat and let myself go. I Decided To Diet Down, As Practice To See How My Body Would Respond And Also To Reveal My Weaknesses So They Can Be Improved. My transformation took 16 weeks. I started off doing cardio 3 mornings per week before breakfast and gradually increased until I was doing cardio for 45 minutes 6 mornings per week and 30 minutes after weight training sessions. 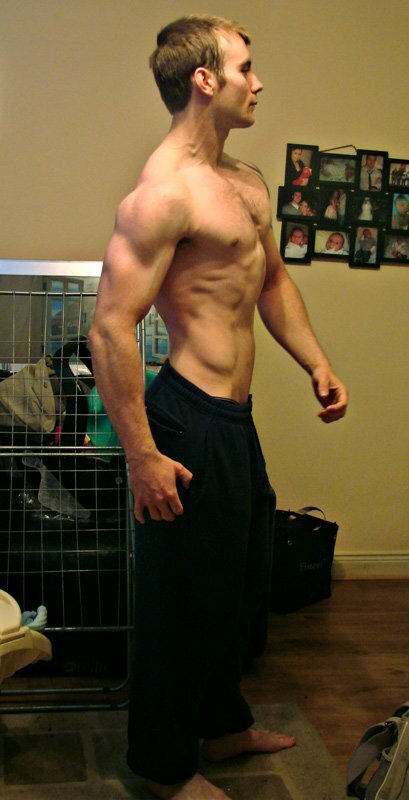 I lifted weights 4 days per week, Monday-back, Tuesday-chest/biceps, Thursday-legs and Friday-shoulders/triceps. I trained abs Monday, Wednesday and Friday with cardio in the mornings and calves on Tuesdays and Thursdays with cardio in the mornings. 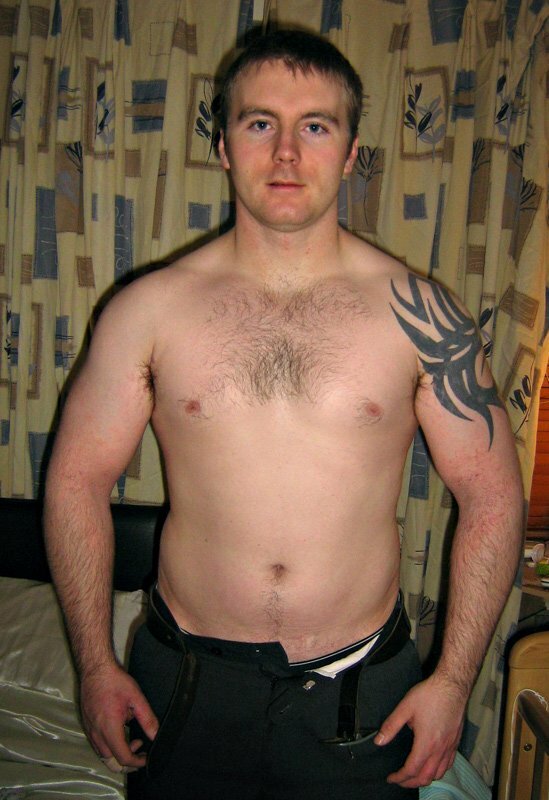 I used a cyclic ketogenic diet and cycled 3 low days of carbohydrates with 1 high day and repeat. 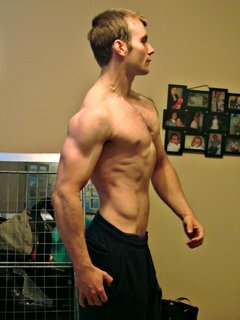 This averaged 130g carbs on a low day and 500g of carbs on high day. I took in about 350g protein per day to minimize muscle loss and my fats came from supplementing with Udo&apos;s Oil. Of Carbohydrates With 1 High Day. The only supplements I used were ECA, green tea 3-4 times a day, multivitamins with iron, vitamin c and calcium and vitamin d.
You cannot out train a bad diet! If you constantly cheat on your diet, don&apos;t expect great results. Find ways to keep motivated. Also, don&apos;t expect great results over night, stick at it and the results will come.